A little vignette I made using an authentic pink frosting donut and some candy pieces. To get the precise candy pieces, I drove to Party City and purchased the exact required Jolly Ranchers, single Twizzler, and the Mounds bar was from a full size bar. 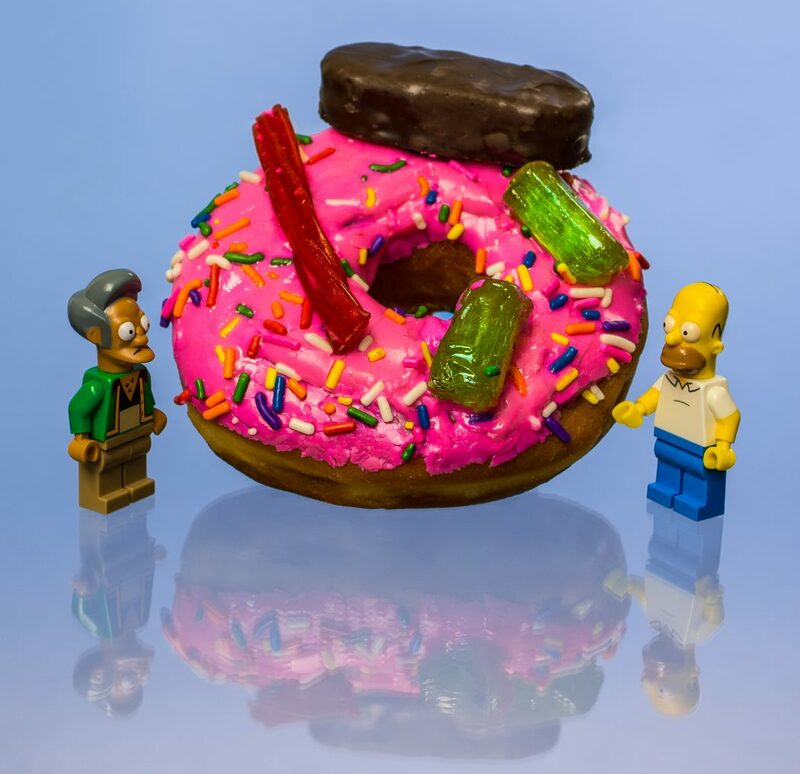 The donut was propped up against a LEGO piece, and wasn’t too stable. This caused the donut to gradually slide down under its own weight, especially with the Mounds bar. This is the best shot I took, and wasn’t the angle I wanted; I attempted to prop the donut up better, but the icing started to melt off and smeared all over the surface.